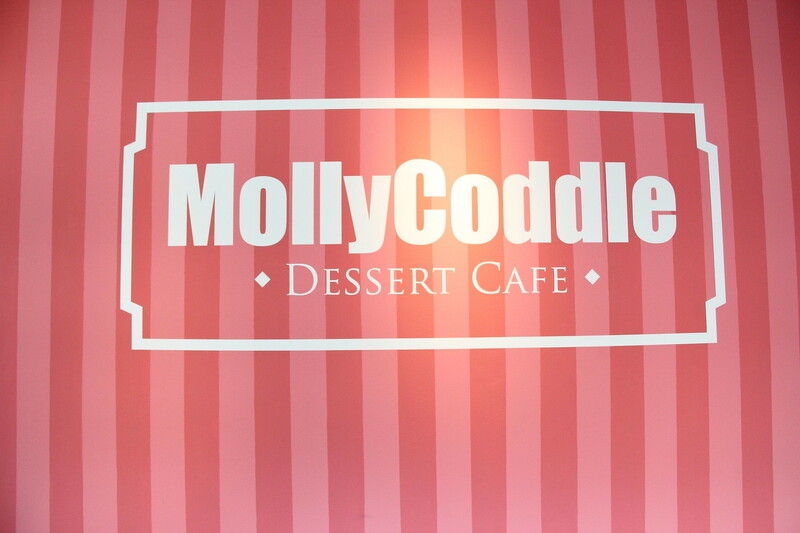 After their successful outlet at Clementi, MollyCoddle Dessert Cafe has opened another outlet at Kelentan Road. After my visit to The Beast, I decided to make a small detour to check out the new establishment. The weather was very hot that day and I was sweating like a pig when I reached the dessert cafe. 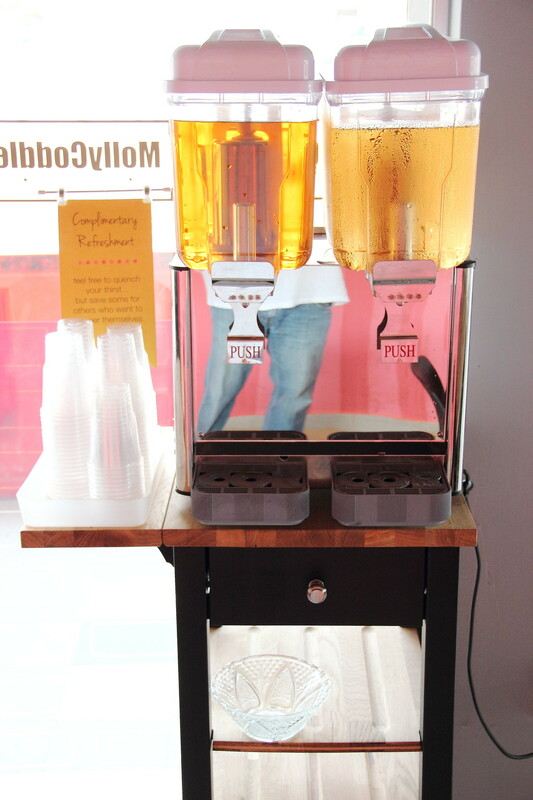 I am glad that the cafe is very thoughtful to serve complimentary water. They even added tea leaves to it. 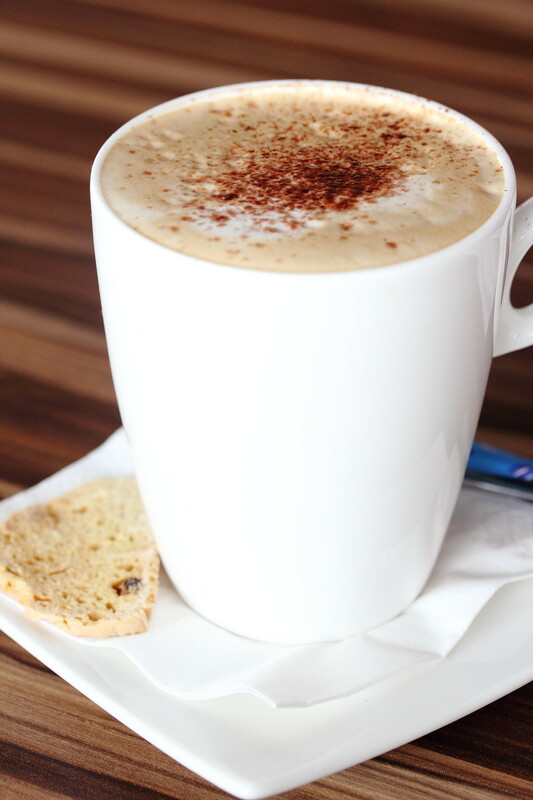 I started with a Cafe Latte ($4.80) which was disappointing. I did not have the coffee aroma and worst the latte was sweet. I clearly remembered that I did not ask for sugar to be added. I left it untouched after a couple of sips. 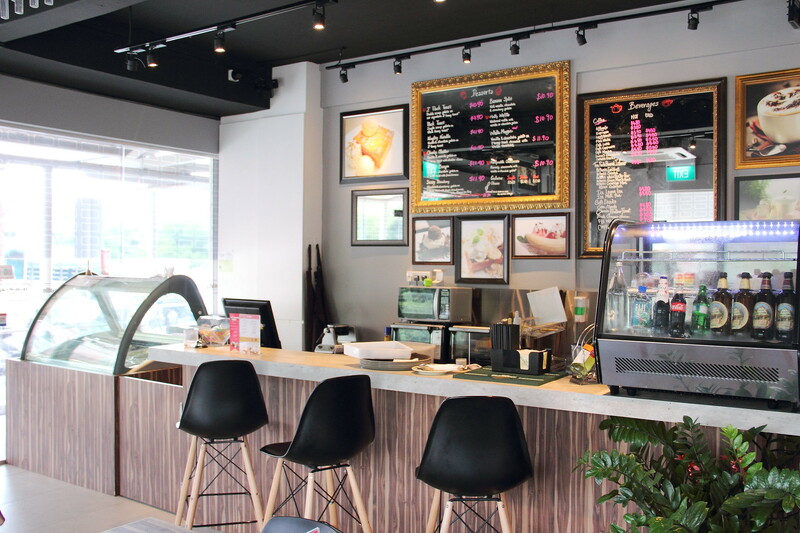 The signature at MollyCoddle Dessert Cafe is probably their thick toast. They have quite a couple of combination and one of such is the Cheeky Cheddar ($11.90). 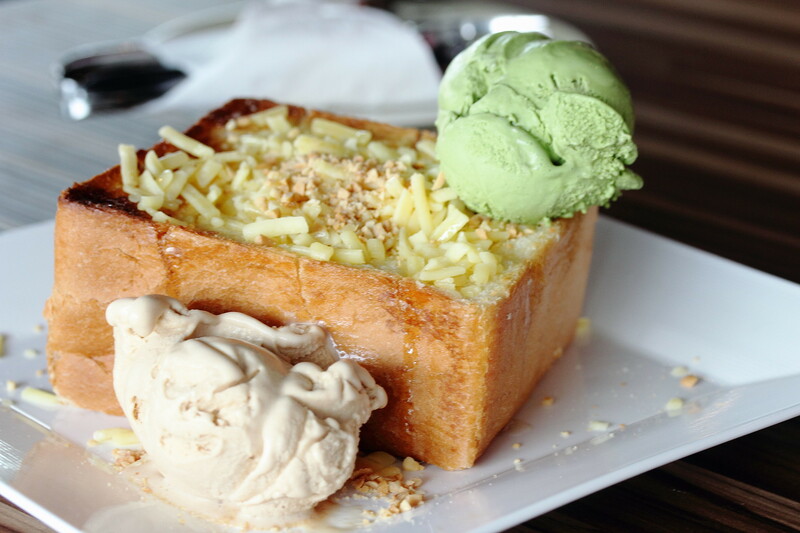 It comes with vanilla & macha gelato on a 2" honey toast topped with cheddar cheese. We thought vanilla gelato was rather boring so we requested for salted caramel gelato instead. My friend seems to enjoy the toast which was soft and fluffy. Personally it tasted good on its own but as a dish itself, I did not quite appreciate the concept. While I like the ambience and interior design of the cafe, I thought as a dessert cafe the offering was pretty average and limited. Even the variety and quality of gelato were sub standard to compare to many ice cream parlours. Will I go back again? Probably not.